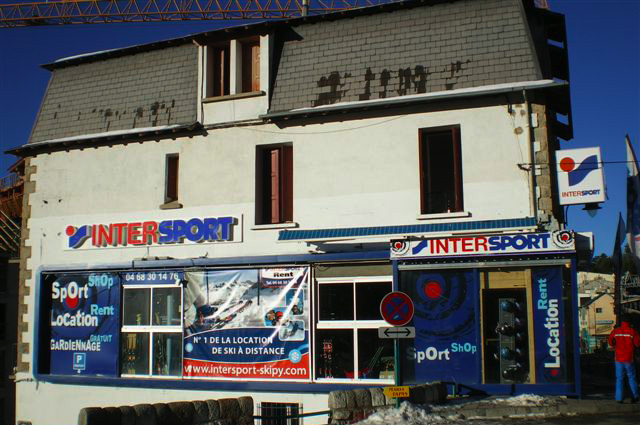 This new INTERSPORT Skipy shop in the fabulous ski resort of Font-Romeu was acquired in 2008 to guarantee the best ski and snowboard rental service for all the family. The shop has been completely renovated with an innovative layout perfect for combining equipment rental and the sale of sportswear (wide selection of clothing for all the family). With more than 20 years experience in the Pyrenees, our motto remains ‘service with a smile and a warm welcome’. This is why we invite you to discover a dynamic shop that can meet your needs and wishes as we pay particular attention to detail. Our Skipy quality guarantee is unique and provides you the best skiing at the best prices. 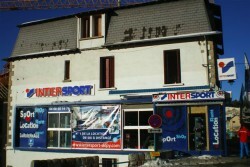 This INTERSPORT shop is situated at the heart of Font Romeu ski resort only 50 metres away from the ski lifts. It gives onto the free main car park near the ski pass offices, the ESF ski school, the tourist office, estate agents, etc. Intersport welcomes you with 300 sq. m of shop floor dedicated to ski equipment rental. You’ll benefit from our fast service with our 2 rental areas and from our quality advice. We have a team of professionals including 2 welcome hostesses and a queue management system to ensure you are correctly equipped from head to foot with proper advice and tips. Handy tip: make the most of our free guaranteed and customized rental equipment deposit service. INTERSPORT has a large storage capacity with specialists dedicated exclusively to this service and with heated and managed facilities available on a daily basis. We have a sales area for all the family offering a quality range of sunglasses, equipment, accessories, sports and technical clothing at the best prices.